Sleek, slender and flattering! WonderWink WonderFlex women's joy-denim style straight petite pants are flare to your personality and ensure comfort all day long. 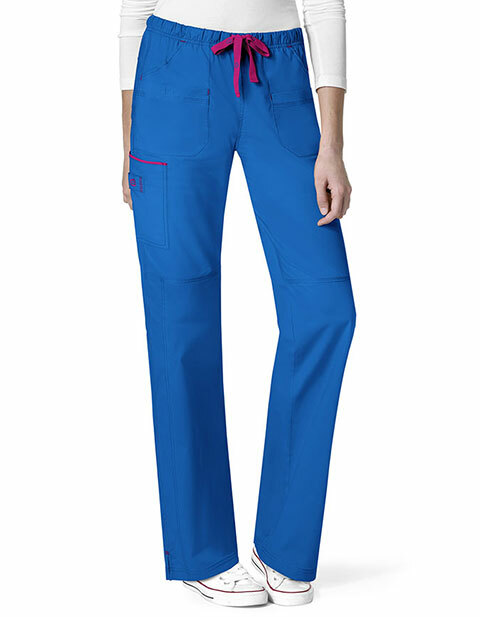 Ideal for women who desire long length garments; the pant features an elastic waistband with full cord drawstring, triple needle stitching and bartacks at stress points. Moreover, multiple pockets ensure secure storage of your essentials.